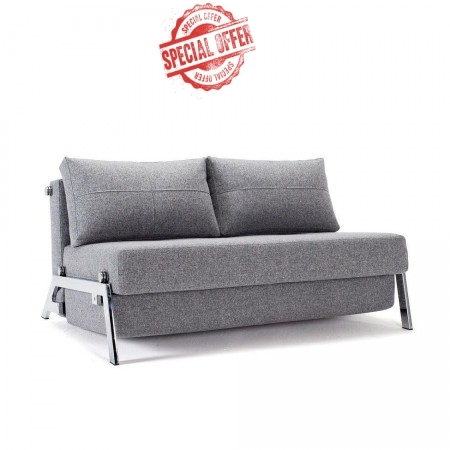 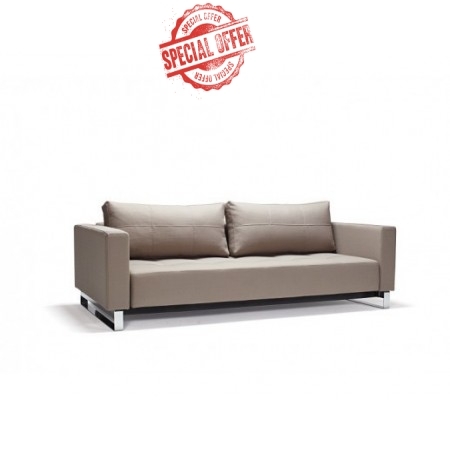 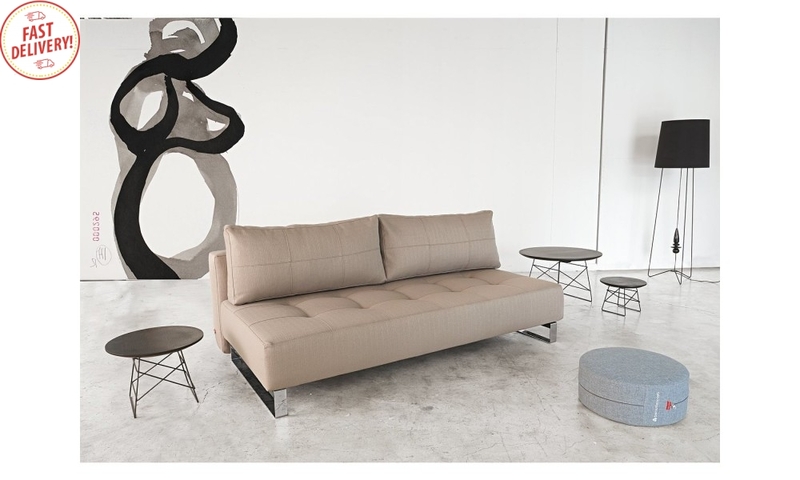 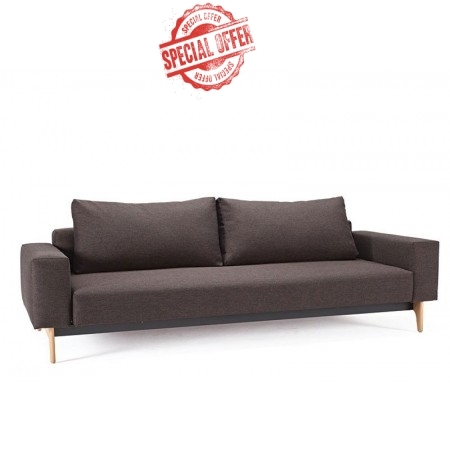 The Supremax Sofa Bed range presents an ultra-modern, stylish addition to your room. 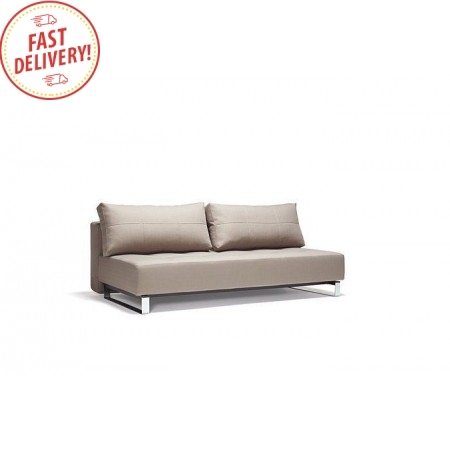 With various sizes, the Supremax range can transform any given space to suit your needs. 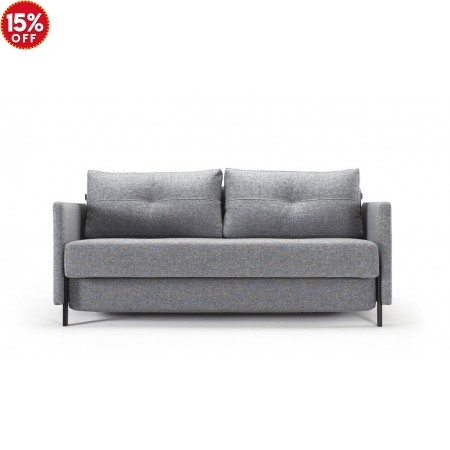 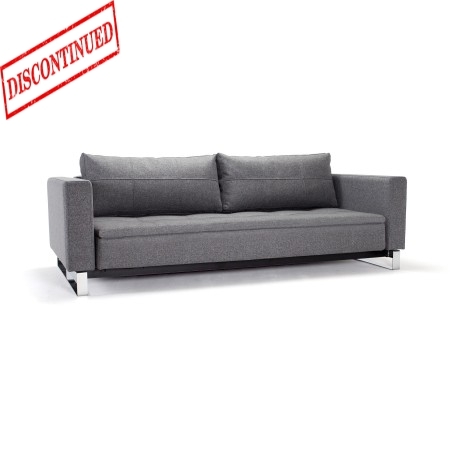 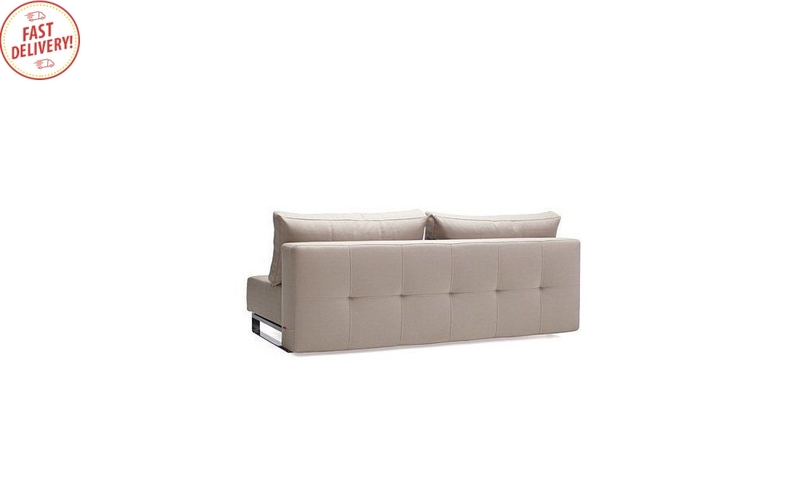 This three-seater model features pin-cushion embellishments and an iconic chrome steel legs. 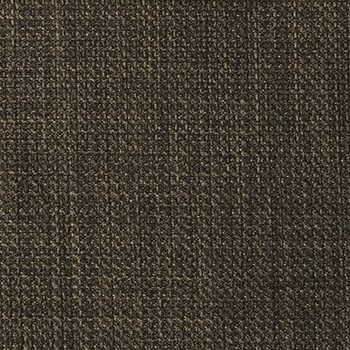 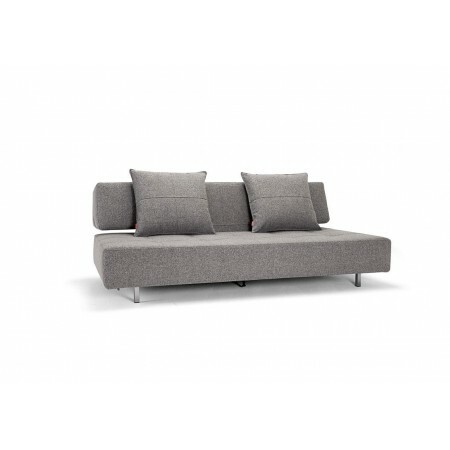 Its contemporary design is complemented by exquisite craftsmanship and materials. 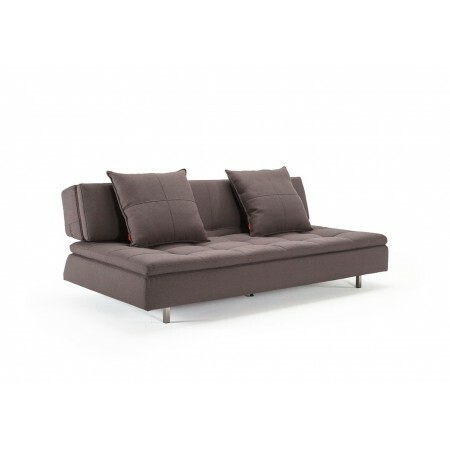 With its Excess pocket spring system, this model uses thicker pocket spring coils. 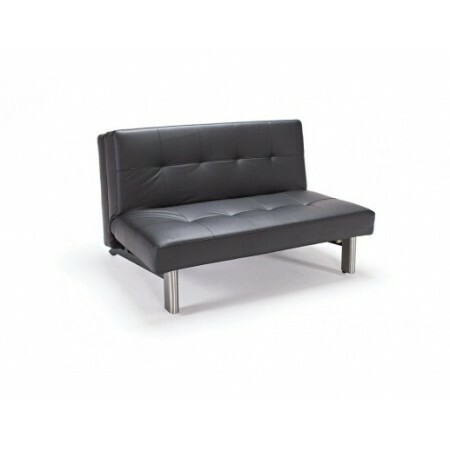 This gives you a more comfortable sitting experience, excellent lateral support when sleeping and minimal partner disturbance. 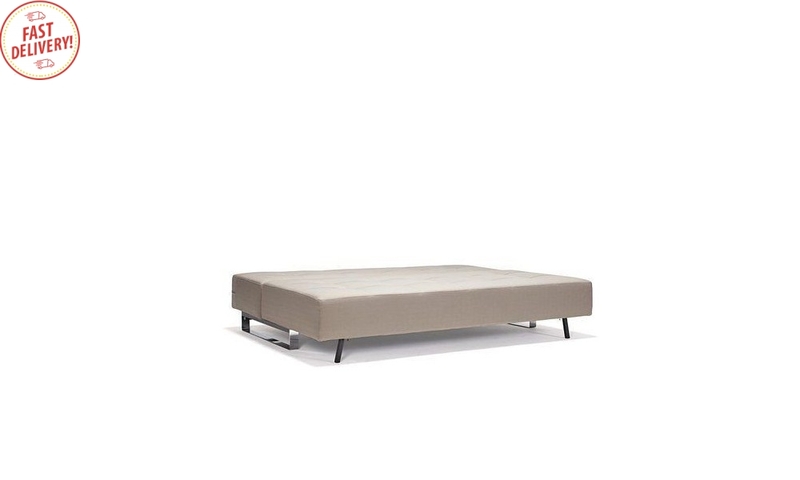 Transforming this model into a double size bed can be done in a matter of minutes with just a few simple steps. 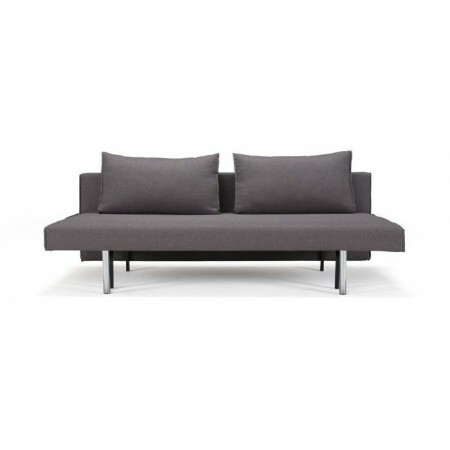 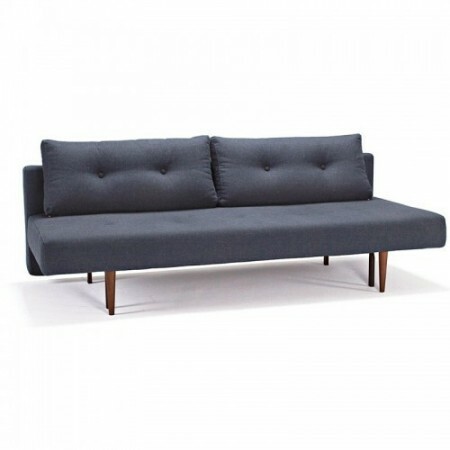 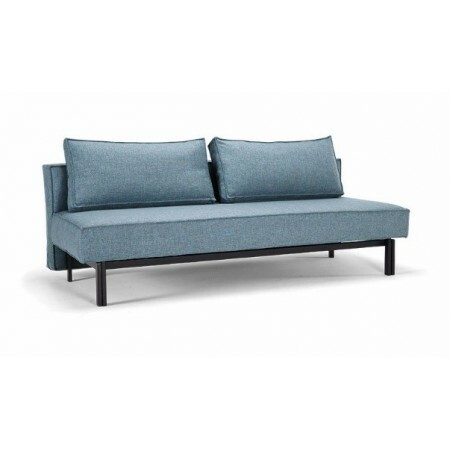 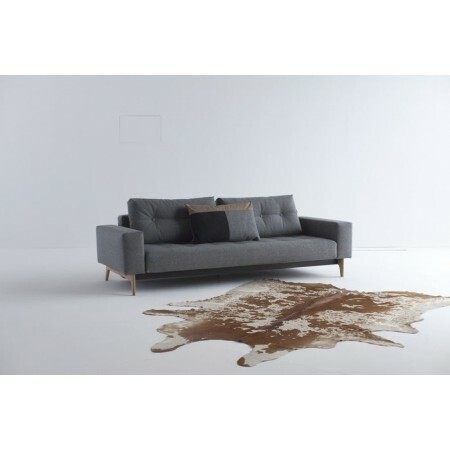 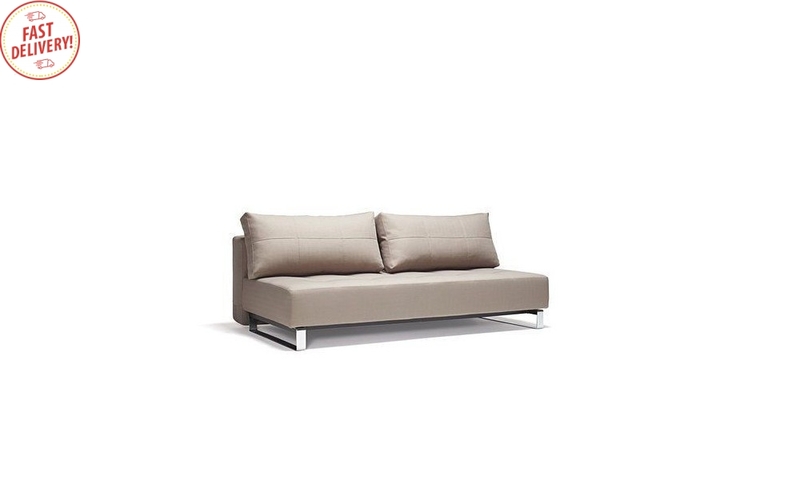 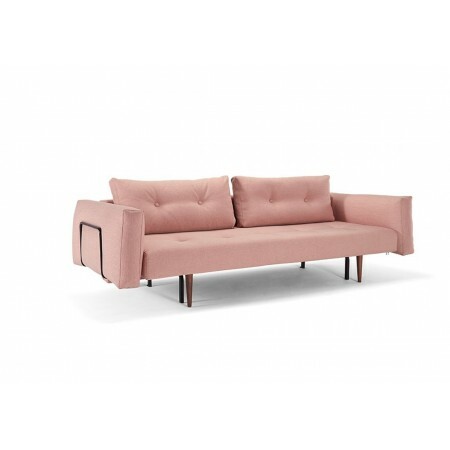 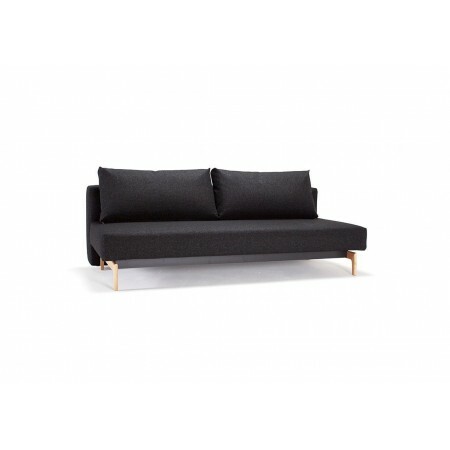 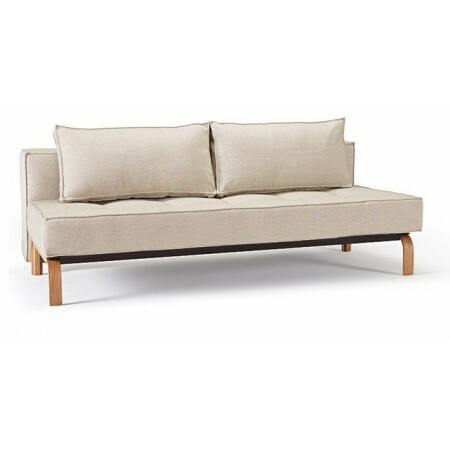 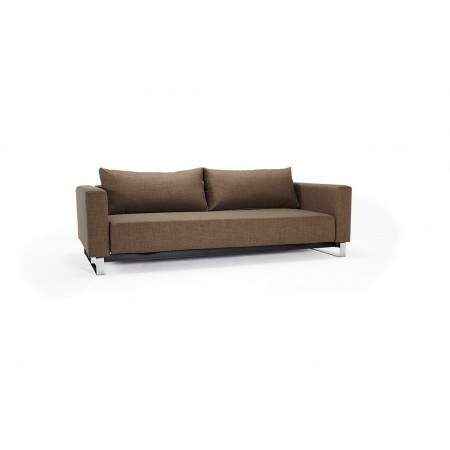 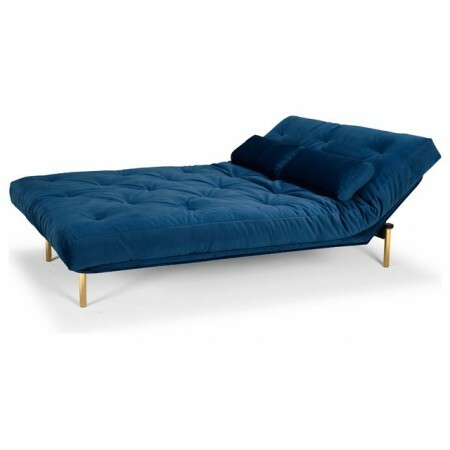 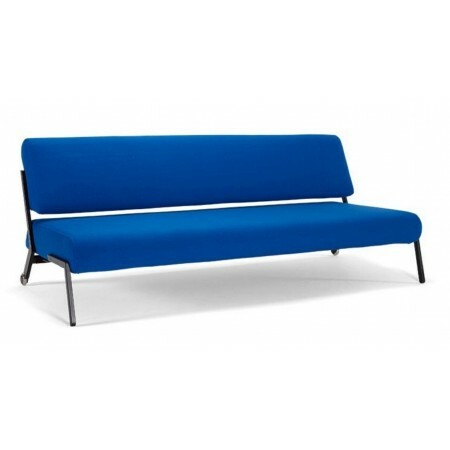 Designed by Per Weiss, this fine Danish-designed sofa bed is meant to interact with other matching pieces from Innovation Living. 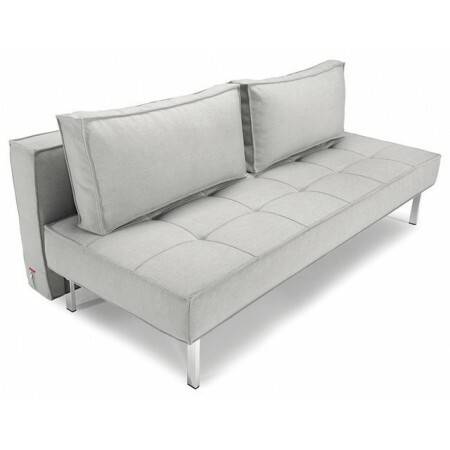 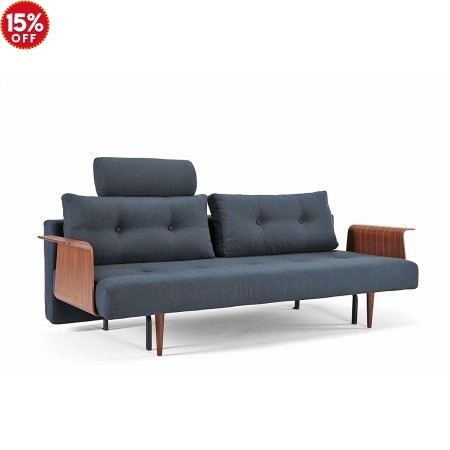 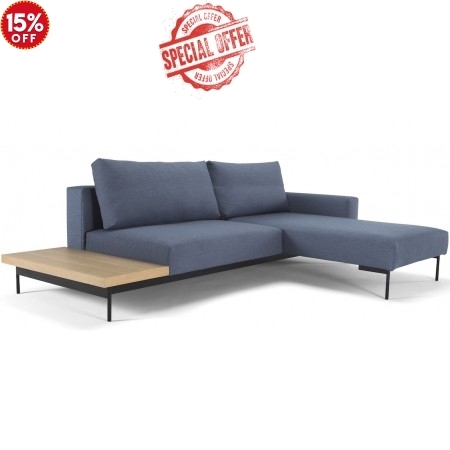 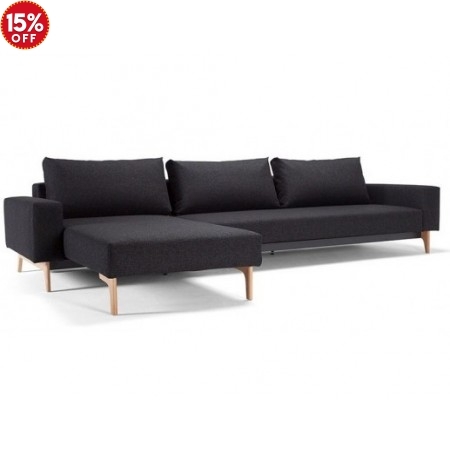 Pair this sofa bed with its matching footstool to create a lounger or with another Supremax to make a bigger bed. 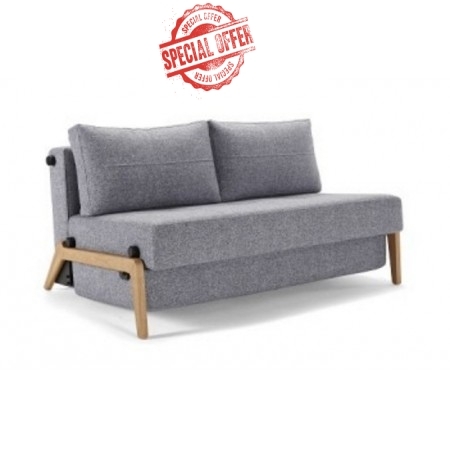 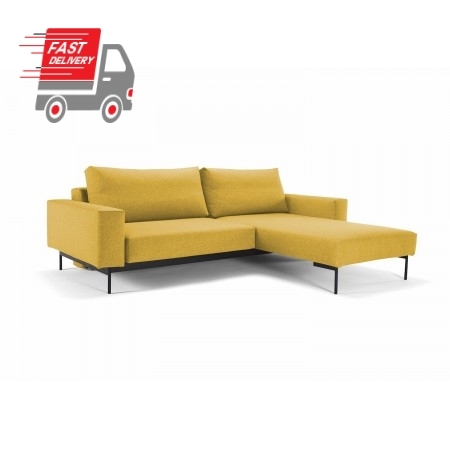 Its smart and stylish design make this an excellent choice for your living room or as an extra bed for your visiting guests.